Ryal Tayloe is President & CEO of National Speed. 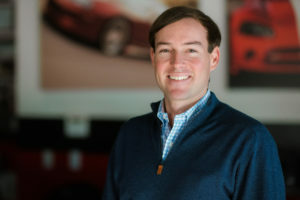 Ryal has an MBA from the University of Virginia’s Darden School of Business and prior to National Speed, was VP of Credit Unions for nCino, a cloud-banking start-up. Prior to nCino, Ryal was Principal in the Private Equity Practice of The Parthenon Group (acquired by Ernst & Young), where he led commercial due diligence and growth strategy teams evaluating acquisition targets and portfolio companies on behalf of Private Equity clients. Additionally, Ryal was a co-founder of 501 Auctions, a mobile bidding and charity auction management start-up that has grown to 75+ employees. He also was President of Commercial Operations for NowSight, a business intelligence start-up, and worked in field sales for Vovici (acquired by Verint Systems, NASDAQ: VRNT) as well as The Corporate Executive Board (NASDAQ: CEB, recently acquired by Gartner). Ryal is passionate about growth and driving National Speed to achieve its vision. A native of Wilmington, Ryal enjoys getting on the water to surf and wakeboard when he’s not enjoying time at home with his wife and two young children!